This website proposes a virtual trip in time and space. 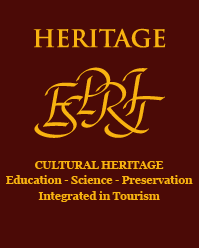 Here you will get to know with the unique heritage of South East Europe, a true crossroads of civilisations. You can make your choice for cultural tourism so that you can go tomorrow on the real roads of the Region, Europe and the World. Experts can find specialised information. Please, send us new information about the values of your lands; share with us your knowledge and images! Conference, 27th November 2009, Friday, from 10:00 until 18:00h, at the University of Architecture, Civil Engineering and Geodesy, Sofia.